Hôtel Ribera. 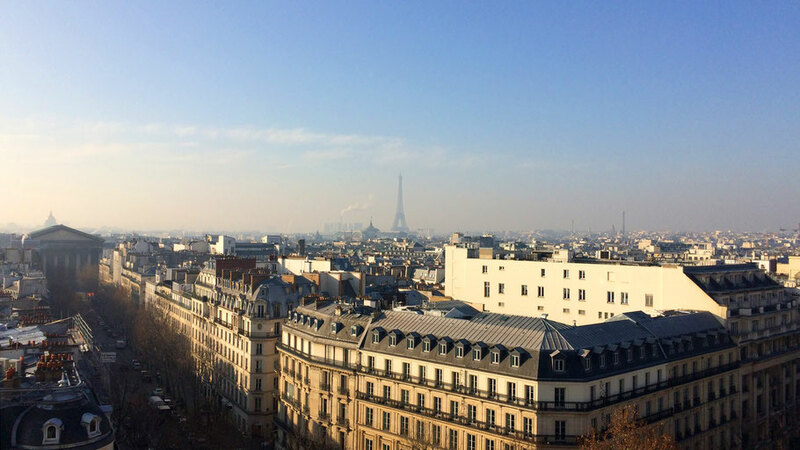 2* hotel in the 16th arrondissement not far from the Eiffel Tower. You can book it here. Hôtel l‘Empire. 4* hotel next to the Louvre museum and the Tuileries Garden in the 1st arrondissement. You can book it here. Hôtel Waldorf Madeleine. 4* hotel close to church and station Madeleine in the 8th arrondissement. Some rooms have a view on the Eiffel Tower. You can book it here. Benoit. Charming traditional restaurant. Try the home-made cassoulet. The restaurant is Michelin starred and run by famous Alain Ducasse. Le Grand Colbert. Restaurant in a beautiful building – it became very well-known after movie stars Keanu Reeves and Diane Keaton had a romantic date scene in there. Poulette. Small restaurant with enchanting interior and fresh seasonal dishes. Some simple Parisian must-tries: Croque-monsieur (baked ham and cheese sandwich), Pot-au-feu (beef stew), Soupe à l‘Oignon (onion soup with cheese on top), Entrecôte (beef steak), Crêpes (sweet thin pancakes), Galettes (salty pancakes), Moules-frites (mussels with French fries), Macarons (sweet delight) and of course crispy Baguette bread as well as a breakfast with Croissant and Pain-au-Chocolat. Rent one of the bikes that are spread all over the city by Velib to discover the Parisian streets. The idyllic Parc des Buttes-Chaumont. An English-style garden with little cliffs, a lake and many pretty corners. Take a walk in Montmartre and visit the white church Sácre-Coeur. There are a lot of museums worth seeing – bring some time as you might get lost in them, e.g. : Louvre Museum (don´t miss a walk in the Tuileries Garden close-by), Musée d‘Orsay (largest collection of impressionist masterpieces). The Centre Pompidou is a complex designed by architects Renzo Piano, Richard Rogers and Gianfranco Franchini. It hosts exhibitions on modern art, a library and a lot of cultural activities. Palais de Tokyo is known for its exhibitions on contemporary art. The building is huge and was designed in a neoclassical stye. On your way to famous cathedral Notre Dame, you can pass by the fascinating lens facade by architect Jean Nouvel for the Institut du Monde Arabe or get a snack inside. Paris has some of the most impressive department stores that are worth visiting just for their 19th century architecture. Galeries Lafayette is the most famous and largest one, it has a roof top terrace with view over Paris. The Printemps has a restaurant with beautiful glass dome, a hairdresser with view on the Eiffel Tower and a nice roof top terrace as well. Le Bon Marché is located on the "Rive Gauche" side of the Seine river and known for its inner courtyard. For fancy shopping visit concept store Colette. The complex Forum des Halles has opened in 2016 and offers various stores and a cinema.